Yield: Makes as much as you want. Herbal salt has never tasted so good. No shortage of nutrients in this wonderful condiment. Gently toast the dulce in a skillet until very crisp. 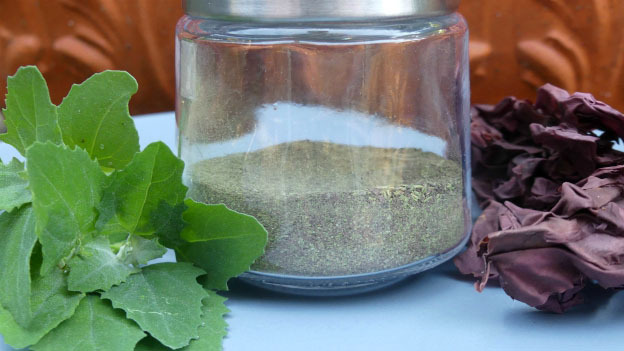 Grind the lamb’s quarters and herbs in a blender or a coffee mill while seaweed cools. Then grind the dulce and combine with ground herbs.